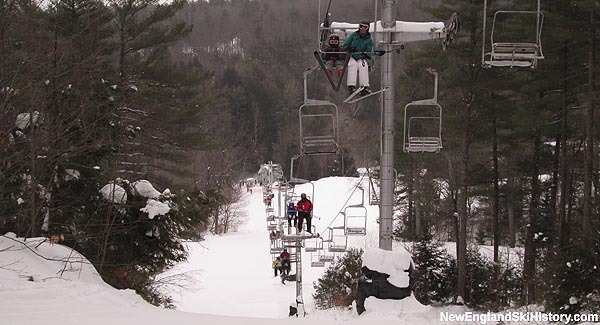 Located in Auburn, Lost Valley has been serving Lewiston area skiers for over half a century. Over the years, the ski area has been noted for being an early adopter in snowmaking and powdermaker grooming. Plans for a new lift served ski area in Auburn were formed starting in the 1950s by local businessmen Otto Wallingford, Dr. Camille Gardner, and Willis A. Trafton. The group settled on hidden plots of land owned by Wallingford and Dr. Gardner's family. 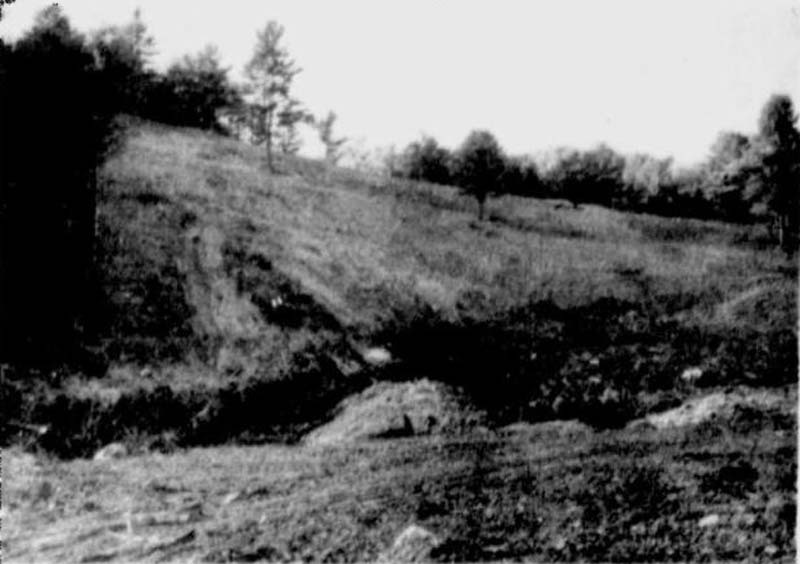 Construction likely started in 1961, when an access road was built, the Lapham Brook rerouted, and numerous trails and slopes cleared. Lost Valley opened for the 1961-62 season as a rope tow served ski area. For its sophomore season, Lost Valley added three new trails and a T-Bar. Auburn native and nordic skiing Olympian John Bower took over as manager of the ski area for the 1965-66 season, while a double chairlift was added, the base lodge expanded, and a new access road constructed. An early snowstorm ushered in a great holiday season, resulting in 8,000 skiers in just one week. Snowmaking capabilities were tripled for the 1966-67 season and further improved for the 1970-71 season. Circa 1967, Fern Pontbriand became a partner in the business. More growth came for the 1971-72 season, as the base lodge was expanded. Meanwhile, 5 new trails were added on a northern peak, serviced by a second double chairlift. While Lost Valley alumnus Karl Anderson raced in the 1976 Winter Olympics, a young family was developing their skills at the small Maine area. Rob, Julie, and Anne-Lise Parisien all went on to represent the United States in the Olympics. 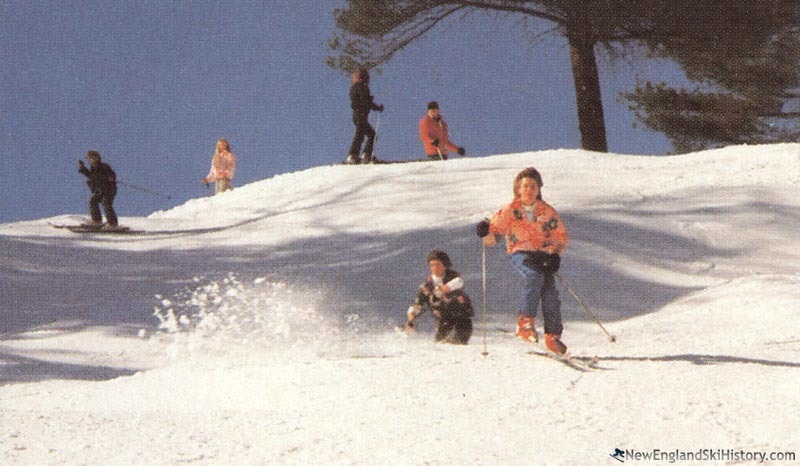 For the 1978-79 season, the rental shop was tripled in size and a ski shop added. In addition, Lost Valley boasted a "fully-automated ticket-dispensing system." Circa 1988, Fern Pontbriand bought out Dr. Gardner and Wallingford. After a successful racing career that included three World Cup wins and a silver medal at the World Championships, Julie Parisien returned to Lost Valley as a race coach circa 2002. In 2004, Lincoln Hayes, Diane Moreau, and Connie King purchased late owner Fern Pontbriand's majority stake in Lost Valley. In June of 2014, Lincoln Hayes announced that due to ten consecutive seasons of losses, Lost Valley would not open for the 2014-15 without outside help. Locals soon rallied and raised tens of thousands of dollars, ensuring the area would operate for the 2014-15 season. In the fall of 2015, Aerial NDT Inspection, Inc. President Scott Shanaman purchased the ski area, easing concerns about Lost Valley's future. After stabilizing the area and laying the groundwork for future improvements, Lost Valley took major steps forward for the 2017-18 season. Air Force veteran and longtime Lost Valley skier John Herrick was named General Manager as three new trails were opened, including an expert trail on the east side of the area. 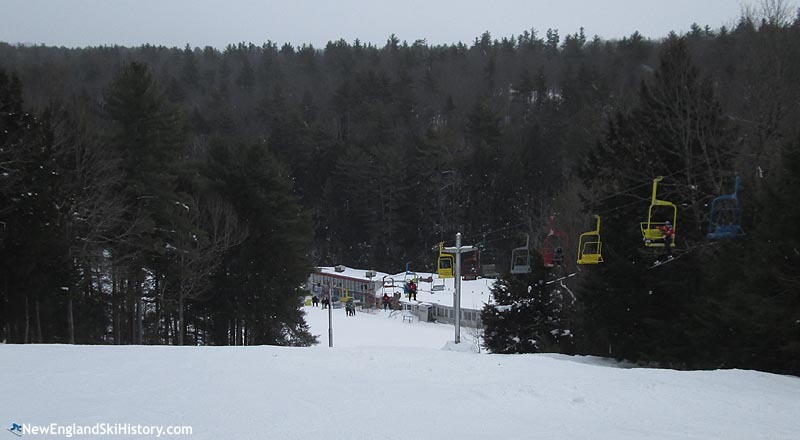 In addition, the former Spruce Peak Triple from Sunday River was acquired for future use. Finally, in February 2018, the Lost Valley Brewing Company debuted. "Worked at Lost Valley from 73-76 than again from 93-03 as part of the lift crew. Like a ball club sometimes it takes a new coach/manager to turn things around. The new owners might just do that. " "Lost Valley has been in my family since 1963. I hope the current owners can see what it takes to continue I love it here"
"where I learned to ski in 1978 from Brunswick Rec Department Ski Club. Great fun!!!"